It’s been a while since Logitech introduced a new gaming headset, but today the company is spoiling us with four new models. Starting from the high-end, the Logitech G935 features Pro-G 50mm audio drivers made of a hybrid mesh material that the company claims to deliver deeper bass and fuller sound profile. The Logitech G935 also bumps up surround sound quality up to DTS Headphone:X 2.0. Additionally, this new product is also the first headset to get Logitech’s LightSync technology, which syncs RGB lighting between all Logitech G products and can even have the headset light up to mimic on-screen content. Hopefully, Logitech has updated the accuracy of the latter mode since the feature first debuted on the Logitech G650 speaker system. The Logitech G935 looks like the spitting image of its predecessor, the Logitech 933, but it has been tweaked slightly with leatherette ear cups that will replace the fabric mesh material used last time. 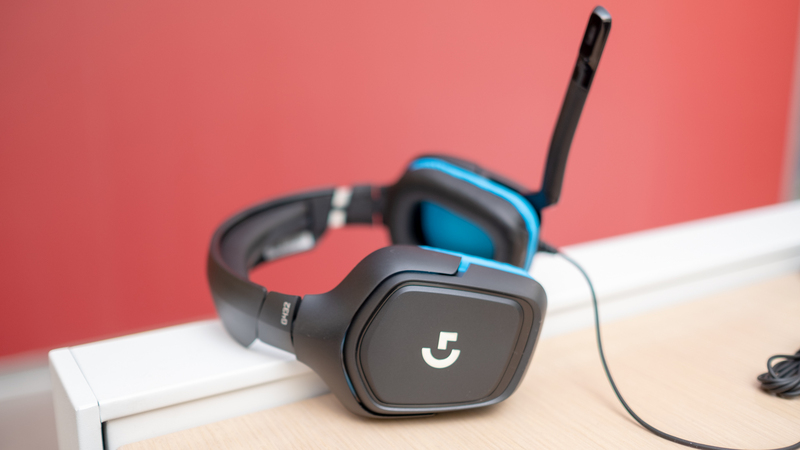 The Logitech G935 will retail for $169 (about £130, AU$230) and, if you don’t mind wires, the $139 (about £110, AU$190) Logitech G635 features all of the same sound quality improvements and lighting system in a wired headset. Moving down the product tree, the Logitech G432 is positioned as a mid-range 7.1 surround sound gaming headset. Like Logitech’s flagship headset, this one also gets its new Pro-G 50mm drives and a USB DAC. The only features you don’t get are RGB lighting and buttons, but that also helps make this set of cans much less bulky. The Logitech G432 cans come priced at $79 (about £60, AU$110) and, if you don’t need or want the USB DAC, the Logitech G332 comes at an even cheaper $59 (about £50, AU$80) price.